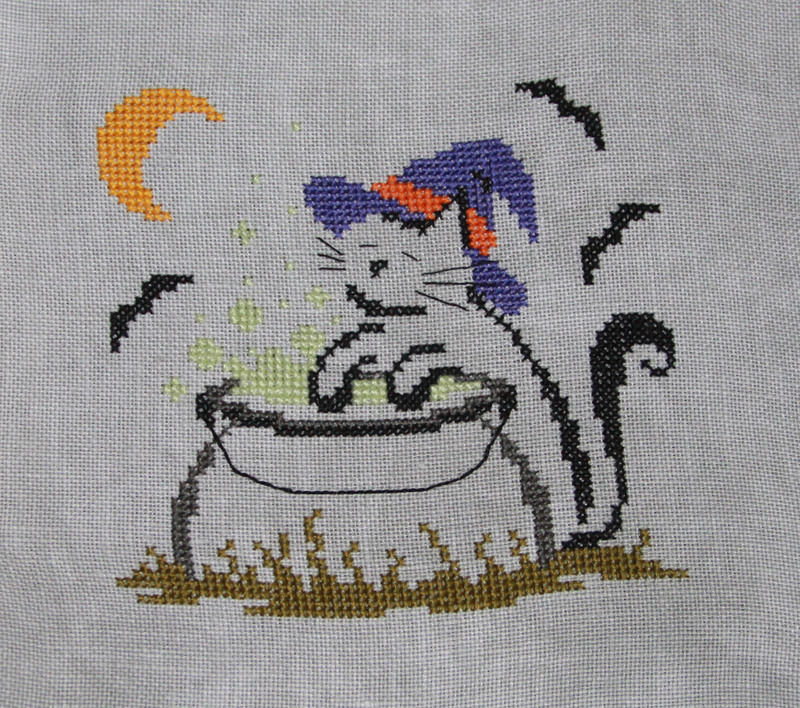 "Witchy Kitty" from the 2011 JCS Halloween Ornaments issue. I usually take a little time off between semesters which is a chance to catch up on movies, books, and stitching! This design had been on my lapstand for a while now and sitting there taunting me and making me feel guilty for not getting any stitching done this year (although I knew going in that this was going to be a busy year - and I wasn't wrong). So I was glad to finally finish it up. 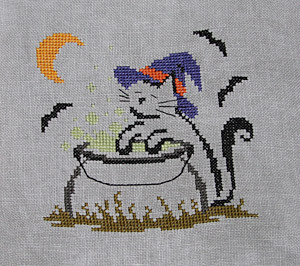 I used DMC floss and I wish I had chosen a slightly darker green for the "potion" so it would show up on the gray fabric a little better, but too late now.